My boyfriend suffers from dark circles under his eyes, so something to help brighten up that area was something he's been looking for for a while. He's tried out a few other creams, but it can be pretty frustrating to apply a second cream in his eye area as well as a facial cream. 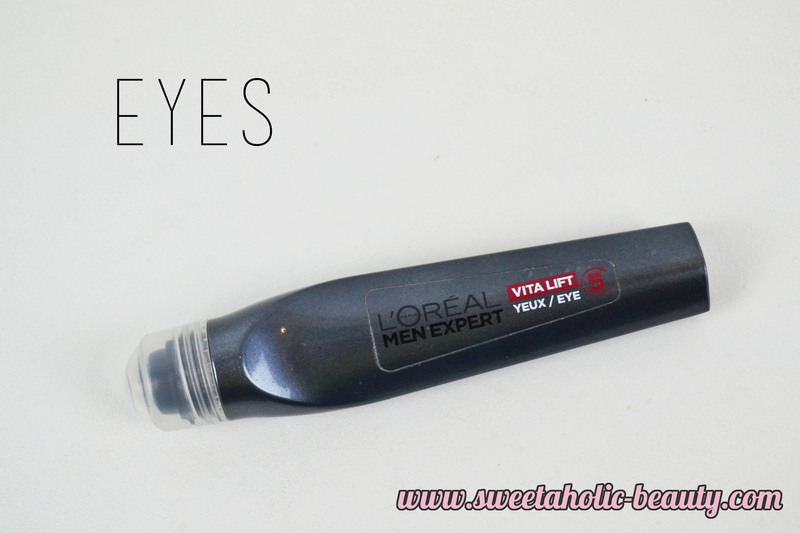 The L'Oreal Men Expert Vita Lift makes life so much easier with a roller ball built in, so it takes only a few seconds. My boyfriend has been using this for a long time now, and I've seen fantastic results! This has been another favourite of my boyfriend's for a while. I've tried him on other moisturisers but he keeps drifting back to this one. 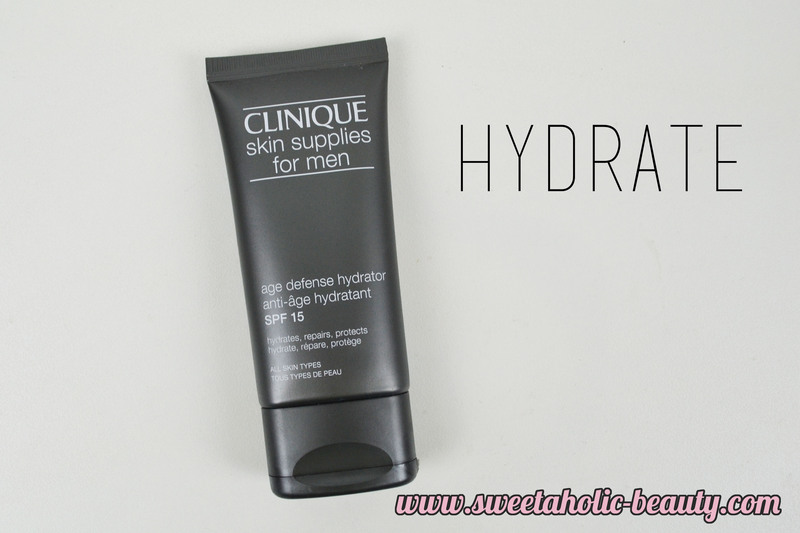 He loves how easy this one is to use, as it both hydrates and protects his skin with SPF 15. The Clinique Age Defence is non greasy and absorbs really quickly into the skin, making life a lot easier. It also has an extremely neutral scent. In terms of age defence, we haven't really noticed anything significant but I'm sure that's something we'll see in many years to come. Every now and then, my boyfriend would enjoy a nice Lush bath to unwind. Since he's been diagnosed with epilepsy, we've been told no baths. We're not sure how long that's supposed to last for, but until we have a follow up, we've been adhering to that. I popped down to my local Lush and had a look at what shower products I could get him to use for a more luxurious shower. As soon as I saw Rub Rub Rub I knew he'd love it. 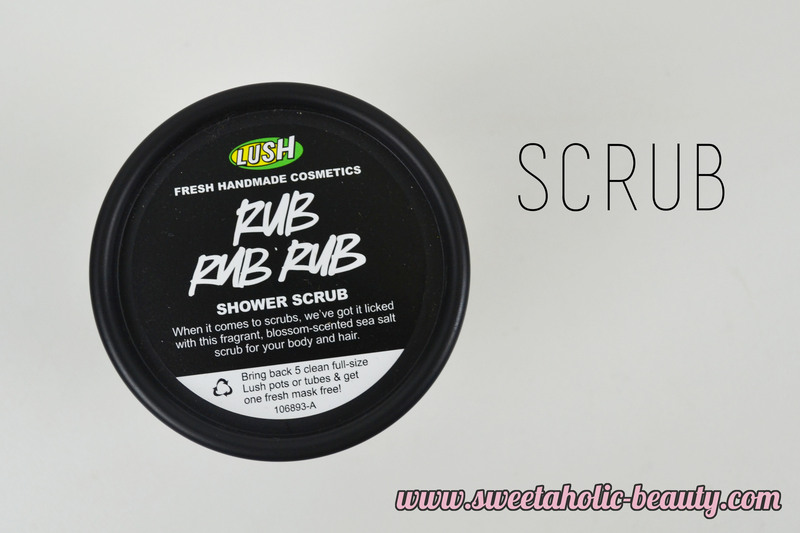 A very soft yet intense scrub perfect for your body and hair (hello, beard scrub) this has become a favourite of his very quickly. This also has a really nice lemony scent to it. This can also double as a shower gel, too, which means it's a nice two-in-one product. We've already gone back for more. My boyfriend did a guest post on my blog last year and included this. 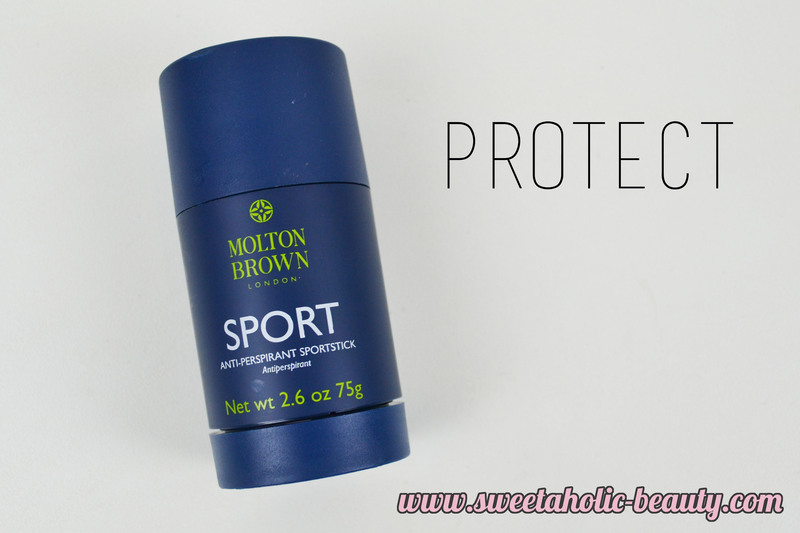 We've really noticed a big difference from when he uses the Molton Brown Sport Anti-Perspirant to when he uses a supermarket brand. Although this one has a bit of a hefty price tag for what it is, we've both agreed that for how long it lasts and how well it works for him, the price is justified. This product was originally provided for consideration but has since been repurchased a number of times, and will be in the future, too. 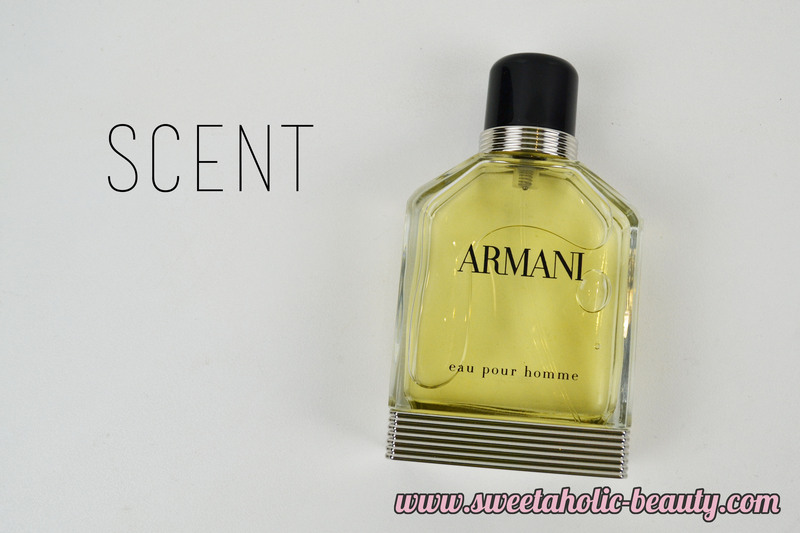 Personally I've always been a little obsessed with Armani scents, particularly from the men's range. My boyfriend already had a fairly extensive range of colognes when I discovered my love for Armani, so it was a bit pointless. When we traveled overseas, I decided to pick up a mini gift set of a few different Armani fragrances for men. My boyfriend was particularly taken with the Armani Eau Pour Homme and has used the entire mini bottle up. Needless to say, a full sized bottle was on his Christmas list this year and Santa certainly delivered. Hopefully you've enjoyed this little glimpse into my boyfriend's favourite products. He wasn't overly keen on writing up the post himself this time as he's busy starting up his own gaming/pop culture blog, so I decided to write it up myself with a little (by that I mean a lot) of input from him. So if there's a special man in your life that needs some vanity products, hopefully this has helped you in narrowing some down for him to try out. You can also read Alex's guest post about some of his then favourite grooming products here. Have you or your special man tried any of the above products? If so, what were your thoughts? Any recommendations on what my boyfriend should try out next? You've done well in terms of getting your man on the beauty band wagon! Mine is a lot more resistant to it. At the moment, it's just Cetaphil, period. I can't even get my boyfriend to moisturise half of the time haha you are very lucky! Wow great post dear. My boyfriend really love Armami fragrances. He said the scent is fresh. Love this post, reminds me that I have to get Mister back on the blogging bandwagon as he's been slack with his reviews lately! wow, yhis is such a unique idea and a nice post, also i get to know about new stuff that we could give to somebody! very nice products! good for my husband too! My partner is so low maintenance, I am always trying to talk him into using more products but he won't budge. Same story as A Bella Adventure! My husband won't use beauty products. I want to start him on a skincare routine, though. Men!